Picture the past… If you can! But can you? 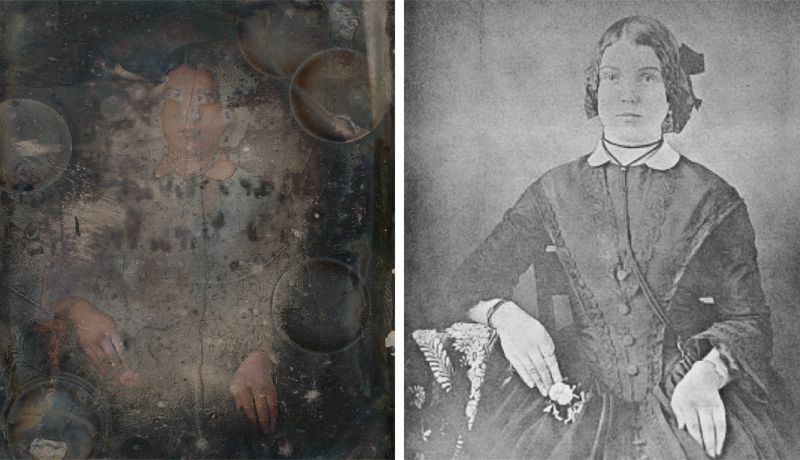 The first photographs were daguerreotypes. They were developed using mercury and gold instead of silver, which came later. These pieces of history are tarnished and may be lost forever! Or… are they? Madalena Kozachuk and colleagues embarked on a quest to restore the past. How? The team used X-rays to map where the metal deposits were, using a particle accelerator! The portraits were restored good as new and looked freshly taken. Amazing! The team hopes that museums can use this technology to restore other pieces of history. I guess this means we can turn Flashback Friday into Future Friday!